You might be forgiven for thinking that because I come from blogging stock AND I work for a cosmetics company, that I would have some beauty blogging credentials, right? Wrong. This lifestyle blogger is all adventures, rather than the glamour. In fact, my skincare regime was pretty non-existent before I joined said cosmetics company and, whilst I might be a long-time admirer of beautiful make-up, my skillset doesn’t really lie in creating it. 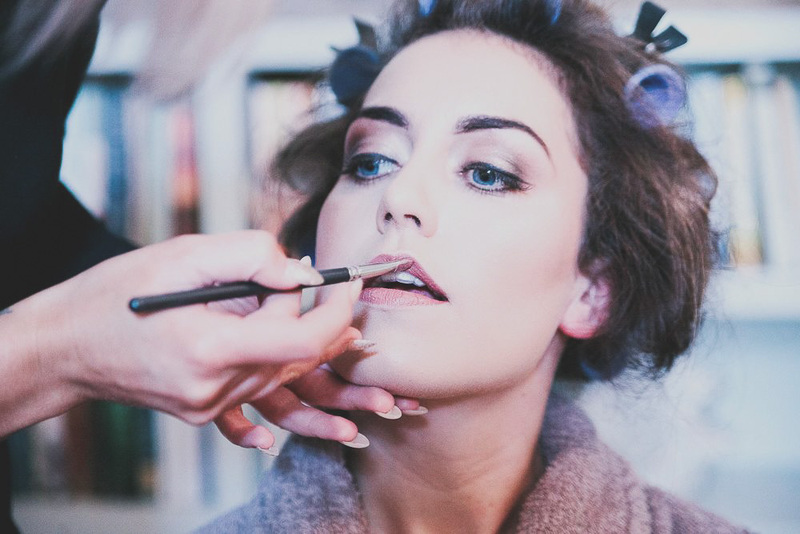 So, you probably won’t be surprised to hear that I am enlisting the help of a professional to help create my bridal look on the day; my hair and makeup will be in the very safe hands of Aimee Garner. But I figured that to really look my best on the big day, I needed to give Aimee a decent canvas to work with. And so the skincare obsession began. Herein follows an amateurs guide to my beauty basics, but really – it’s a cry for help too. Please leave me your recommendations at the end of the post! At the risk of sounding like a princess, not long after I turned 30 I started to get in the habit of having a monthly(-ish) facial. 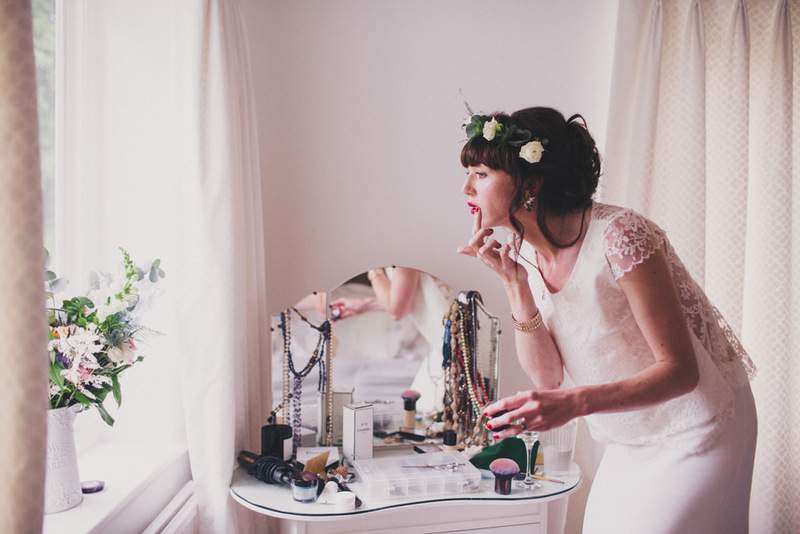 Back in my wedding blogging days a bride had recommended the treat in the run-up to your wedding. I reasoned at the time that you didn’t need to be getting married to look after your skin – in fact a milestone birthday was probably an even better reason. So I plunged in and started heading to my local Virgin Active health spa for a 30 minute express facial. Although I haven’t consistently kept it up since I hit the big 3-0, getting the bling on my finger did give me a renewed focus on that particular indulgence. I am conscious it sounds particularly extravagant, and it’s definitely something that’s far from essential, but it’s where I choose to spend my pamper money – being too impatient for regular nail appointments, too squeamish for any kind of waxing shenanigans, and too scared of looking like I’ve been tangoed for a spray tan. I’ve definitely noticed the difference since I started, and consider it one of my best investments to look after my skin. Every time I go for a facial my beautician asks how often I exfoliate. I shamefully mutter ‘every now and then’ (read: never) and hope the topic doesn’t crop up again. So, I instantly knew that if I was going to get serious about my skincare, I needed to get scrubbing a couple of times a week. My chosen go-to exfoliator is an oldie but a goodie that I have shamelessly neglected since I used to ‘borrow’ a spot of my Mum’s in the shower when I lived at home. I had forgotten how amazing (and lush-smelling) it is until I spotted it on the shelf in Boots. St Ives Apricot scrub is the name of this particular wonder worker. I go for the invigorating one, but there are other options if that is too harsh for you. I was super pleased to discover it is a bit of a bargain as well! I use it on my face and neck a couple of times a week in the shower, and also gently rub it over the hair follicle eczema on my arms in the hope that it will banish that too (we are getting there)! I am going to preface this by saying, these are not for everyone and if you have sensitive skin I would steer clear. They were recommended by some fellow brides to clear problem skin. I have never had particularly spot-prone skin, but as soon as we got engaged my face decided my run of luck on that front should come to an end; I kept getting bouts of pimples that I couldn’t get rid of. I know many people have far worse skin woes, but as it was something I wasn’t particularly used to, I didn’t know how to banish it. These pads Nip & Fab Exfoliate Glycolic Fix Daily Cleansing Pads really cleared it up in a matter of days, and if I start to notice my skin getting a bit bumpy with the threat of a breakout, I work them into my routine again for a few days and it seems to stave off the problem. I’d heard mumblings about the ‘double cleanse’ but assumed it was far to complicated for me to worry about. My renewed determination led me to a Caroline Hiron cheat sheet that taught me that a double cleanse is far from complicated, in fact you are probably already doing it. It literally means cleansing twice at night (duh) to ensure you get all of the make-up, dirt and grime off your face. It makes sense really; with all that your face goes through in a day, once is never really going to be enough to remove it all in one go. Where I probably haven’t got it quite right yet is the products I choose to double cleanse with. I always opt for a foam face wash to clean the skin, and then if my skin’s a bit spotty, my Nip & Fab pads will be my first cleanse. Otherwise I reach for cleansing water because I like how it freshens my skin. I tend to follow with a cream cleanser (which is the product I also use in the mornings for a single cleanse). But it’s cleanser that the beauty experts recommend you spend your pennies on for maximum results, and I just haven’t found the right product to splash out on. Any recommendations would be VERY well received (I’m *not so* secretly hoping that blogging/beauty queen extraordinaire, Mrs O’Shea, might do a post on it over on Rock My Style sometime soon so that I can pick up some more tips). Speaking of RMS, this next obsession is definitely the fault of some friendly RMS commenters who sung the praise of new brand The Ordinary. I’d heard a lot about these products, so it was the nudge that I needed to dip my toe in the water. I started out with a few products from their suggested regimens, opting for the dehydration and ‘general signs of age’ recommended products. The products are mainly serums that I have been using along with my usual routine (adding them after cleansing and before moisturising, with no more than three formulations at a time). I noticed a difference in skin texture very quickly. In fact, I was so impressed with these lotions and potions that I have practically bought the entire range. You do have to spend some time reading up on what each formula does, but I have found the payoff well worth it, and you soon get an idea of what’s right for you. Plus, they are so affordable! It’s probably the first time that products have made me adapt my regime day-to-day as well; paying attention to what I think my skin needs that day and choosing the formulas accordingly. I know – I will be a pro before we know it! Confession time, I do work for Avon and it was unlikely I was going to get through a beauty post without mentioning them. I use lots of their products on a daily basis, but I can’t emphasise enough that although working for them helped me discover the products, I only recommend them because I love them and they really work for me. Chief amongst my daily Avon product grabs are their moisturisers. I really don’t think they can be beaten on the quality and value of their moistursing products. I never buy anything else. I switch between the different products fairly frequently, but am currently using the Vitale range to moisturise day and night. It feels super luxurious and really locks the moisture into my face. (As an aside, another Avon fave of mine is the Clinical Infinite Eye Lift. I’ve never particularly noticed eye creams to make a difference to my frequently tired looking eyes, but this really does! I’ve also started using The Ordinary Caffeine solution to combat the dark circles, so together they are a force to be reckoned with). This is really getting back to basics, but when I had my makeup trial and we decided on a matte lipstick, I commented that my only concern was that I have found that any lipstick really dries my lips. Aimee recommended paying particular attention to my lip care in the week running up to the wedding, which made me think that it was probably something I should remind myself to start doing sooner rather than later. Currently I am never without a pot of Vaseline and try to apply it at least a couple of times a day. I’m a lip chewer (gross, I know) but the softer my lips are, the less I am finding the inclination to do it, so it’s a bonus all round! I don’t think I am alone in having a massive aversion to ‘shedding for the wedding’. I think it is more about feeling confident in yourself and that you look the best version of yourself on your big day, not bowing down to the myth that you have to be a certain size. That said, part of looking the best version of myself on the day, for me, was making my lifestyle a little healthier. Again, this was more about kick-starting a better lifestyle in general, than being specifically wedding related – but having something to focus on really helps me commit. I’m never one for dieting (I just don’t have the restraint required), so I certainly haven’t headed down that route, but I have used the need to fit into my wedding dress as a reminder that it’s not necessary to have chocolate/pudding Every. Single. Day. (Spot the chocoholic). I’ve always been one for maxing out my fruit and vegetable intake – though I sit more in the five-a-day camp than the crazy new 10-a-day recommendation. As an IBS sufferer, keeping an eye on what I eat just makes sense, and I have found that reducing my wheat intake to just a couple of times a week (because it’s unlikely I am ever going to completely cut it out) does help keep my health in check. The most important part of the health kick for me though was exercise. When your fellow real bride is an athlete, you realise that being active just once or twice a week really isn’t that hard compared to what some people are able to achieve. I’m an exercise-phobe by nature – my friend Sam and I used to run away from the ball in hockey (so I’ve no idea how I ended up in a tangle that led to a sprained arm in my teens, but that’s another matter). And half marathon training for Year of the Yes has put me off running for over 2 years (and counting). So I was keen to find some middle ground that I could sustain. Partly it was about toning up, but mainly it was about my mental health. I have always been a bit of a worrier, but since I have hurdled the 30 barrier – and with the trials and tribulations that goes with planning a wedding thrown into the mix – I found myself in a bit of a stress-rut that I was hoping exercise could help me out of. My starting place was Pilates; a weekly mat class with the fabulous Live, Love Pilates at my best friend’s house. It’s my favourite thing that I have said yes to this year (I got engaged last year, so that’s allowed). It helps me relax, get in shape, have a weekly giggle with my friends, and Nes – who runs the classes – is simply inspiring with her happy, positive, and attentive approach. I wanted to incorporate more cardio-esque activities too. You might have cottoned onto the fact that I have never really enjoyed running from my earlier comment – but I also don’t like the shape it makes my body (big calves and skinny jeans just don’t work). I’m not saying I will never return to it for a crazy challenge in the future, but I knew I had to take up something I enjoyed more to be able to keep it going. So, I invested in a super bargainous-work-discounted gym membership and returned to swimming. I have always enjoyed being in the water since my swimming lessons from a very young age. A weekly dip in the pool helps me to calm down after a busy day at work, or is a great way to start a weekend day. On occasion, if I am having a particularly angsty week, I squeeze in a 20-minute HIIT classes at the gym as well. The best stress-buster that I have found yet! So, if you’ve managed to make it to the end of that marathon post I salute you! I have one final plea for advice: I tend to flush red at the slightest sign of stress / heat / alcohol (a great combination for a wedding), so any tips to minimise that would make you my new favourite person! I am currently hitting the antihistamine on a daily basis, but not sure if there’s anything else I can use to keep it at bay on the day. But otherwise that’s it from me! I would love to hear about your beauty and health regimes below – not just wedding related, but things you like to do to keep your skin and body in shape. I’m always on the hunt for new tips and tricks! You seem to have a similar profile to me. I don’t want to slim down for my wedding – i just want to work on this seemingly evolutionary hunchback that has developed thanks to long days at the work computer. Ugh! So pilates for me too! And one run a week and when warm enough one swim in the sea a week. Sounds healthy, right? I really need to try out THE ORDINARY. thanks for this post, i am going to save it. Im quite lucky – I live in a guernsey so as an island the sea is no more than 10 minutes from any given location. Have you been here before? It’s really a lovely place. I lived in London before moving here and there’s nothing quite like it- I hear Cornwall looks similar but is more built up. Hi Emma, the wedding will be here in Guernsey in July next year, and then we will have a mini reception in Canada few months later as that is where I am from and where all my family live. The joys of planning TWO receptions, I tell you! At least I’ll have a second opportunity to wear my dress. Do keep Guernsey on your travel-to list! I can give you lots of insider tips on what to see and do if end up here on a holiday at some point. I can imagine planning two causes double bubble trouble, but hopefully it will be twice the joy too and it’s super cool to be able to rock the dress twice!! Love this post, I too have decided to up my skincare routine recently after a few months of horrible breakouts completely knocking my confidence. I also found Caroline Hirons’ cheat sheets and now read her blog like the Bible! I never used to exfoliate either, but since reading Caroline’s blog I have found out you should use an acid exfoliator everyday after cleansing rather than an exfoliating scrub which is too harsh on the skin! I purchased the Pixi Glow Tonic which Caroline recommends and have not been disappointed! It has smoothed my skin enormously and I’m sure it is helping in preventing future breakouts. Caroline has a really good cheat sheet on routines which I recommend, I used to use 1/2 products a day thinking I didn’t want to use too many however using a combination of different products has worked wonders for my skin. How exciting!! I am prepping for my wedding too and skincare is SUCH a big thing for me. I have tried the N&F pads in the past but my new favourite is Lactic Acid from Bravura – it exfoliates while keeping my skin hydrated! The struggle for my wedding is I am trying to find a foundation that won’t melt off my face on the beach in Portugal! I went on a Bobbi Brown master class last week where we specifically talked about destination weddings and honeymoons – I’ll be sharing more on RMW soon, but I cannot recommend their approach enough when it comes to warm weather…they use colour correctors and an amazing retouching face pencil to even out skin-tone so you don’t need a full face of foundation. Sounds scary, but I promise you it looks better in photographs. Plus as the day goes on, as foundation starts to fade/sweat off you run the risk of looking patchy, whereas if your coverage is more sparing, as it wears off it’s not so notice-able. Hope that makes sense!